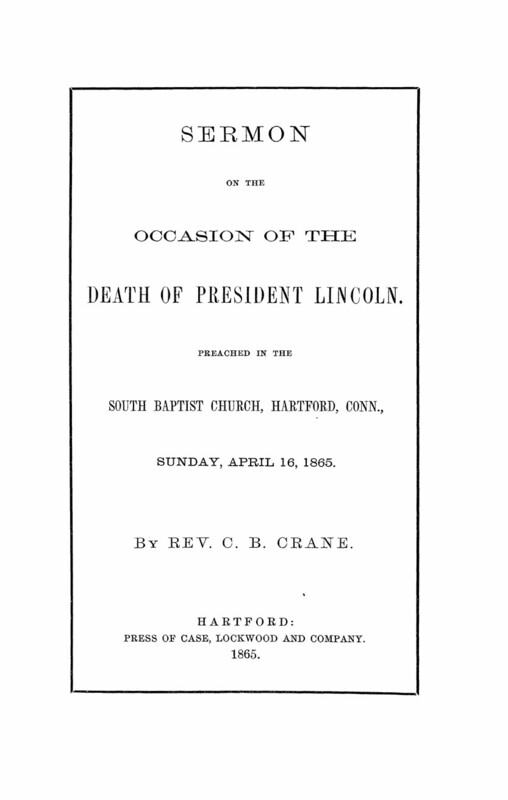 Sermon on the Occasion of the Death of President Lincoln. Sermon preached by Rev. C. B. Crane in the South Baptist Church, Hartford, Connecticut. Press of Case, Lockwood and Company.